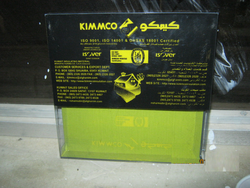 Leading Manufacturer of transparent boxes, pvc box and transparent pvc box from Mumbai. 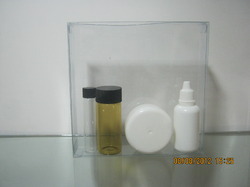 We are the leading supplier of Transparent Boxes made available to our clients at competitive prices. 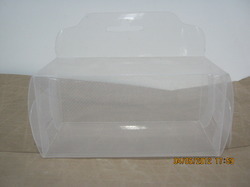 We are one of the leading manufacturer and supplier of PVC Printed Hand Box. We obligated to meet the quality standards as per the customer demand. By keeping track with market development, we are involved in offering a wide gamut of Transparent PVC Box for our clients. 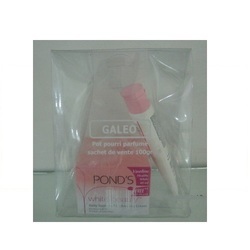 The offered PVC bags are precisely crafted by our hardworking workers with the usage of eco friendly material. 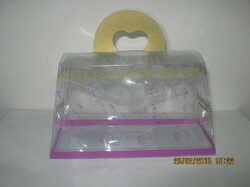 Furthermore, our given range of PVC Box is broadly commended by our customers for its eye catchy prints. Our valued customers can but all these PVC Box from us at reasonable rates.